Energy efficiency upgrades in chocolate factories are not typically the subject matter of heart-warming stories. 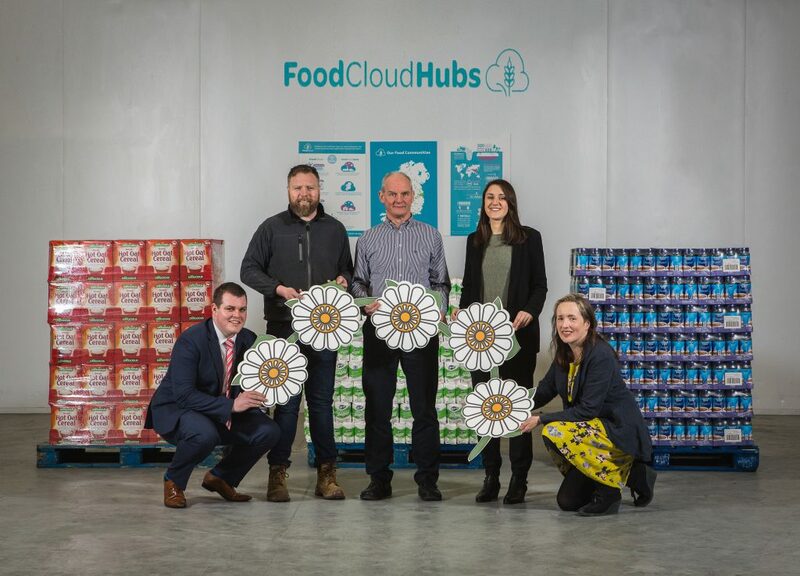 Yet through DaysE’s recent project, Mondelez Ireland have transformed their own energy upgrade at the Cadbury plant in Coolock, Dublin into an energy upgrade for surplus food redistribution charity, FoodCloud Hubs. Left to Right: Alan Kiernan, ESB Innovation, Daniel Stephens, DC Facilities Services (LIghting Contractor), Fergus Caverley, Mondelez Ireland, Iseult Ward, CEO Foodcloud, Grace Hamilton, DaysE. Image Eric Molimard. FoodCloud Hubs in Cork, Dublin and Galway connect food businesses with large volumes of surplus food provided by producers, suppliers and retailers to over 150 charities and community groups in Ireland. Their Tallaght Hub is their main base of operations for Dublin and Leinster charities and is also the head office for the organisation, as well as being a primary centre for food delivery and charity collection. DaysE’s mission is to help communities reduce their running costs by reducing their energy consumption or sourcing their energy from renewable sources. This way we help to combat climate change through reduced carbon emissions. 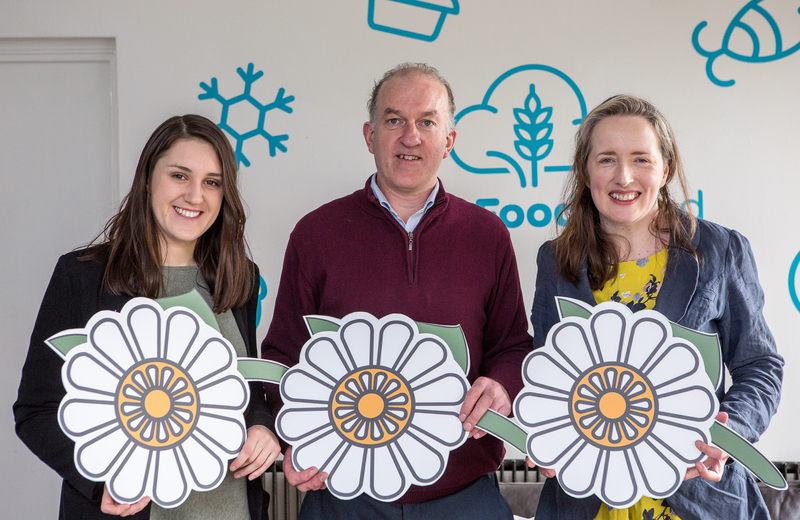 In this project we identified that Mondelez Ireland could support energy upgrades in FoodCloud Hubs through the donation of Energy Credits. This is a model we have road tested in Ireland and are working to introduce to the developing world where small changes in energy access can have a huge social impact. In the case of the Mondelez Ireland donation the opportunity for revenue was provided by the Energy Efficiency Obligation Scheme. Under this scheme utility companies, in this case ESB, partner with firms to deliver energy efficiency solutions to reduce costs and emissions that result in energy credits. Mondelez Ireland donated a share of these credits through DaysE to Foodcloud Hubs. Recent investment in this plant allows us to continue to compete with the many modern and technologically sophisticated food plants in Europe. We are proud of that but also of the decision to partner with DaysE and ESB in ‘sharing the joy’ wider than the plant itself. The Coolock project saved over 4gWh of primary energy, verified by Enviroeye Engineering. That’s a colossal saving in terms of greenhouse gases equivalent, by volume, of over 800 Double Decker buses of CO2. The Foodcloud Hubs Tallaght depot is the beneficiary of the Mondelez Ireland donation towards energy efficiency upgrades. The team in Tallaght identified the need to upgrade their heating and lighting as the boiler was unreliable and the lighting expensive to run. Foodcloud Hubs received a 70% contribution towards the costs of these upgrades. As part of the DaysE model of collaboration the energy savings verifier, Micheál Galvin, the project manager Padraic O’Reilly and contractors, DC Facilities (lighting) and Noel Connolly (plumbing) also donated something extra or reduced their fees, therefore increasing the value of the donation. Dan Stephens from DC Facilities, for example, describes their contribution over and above the contracted works, ” We noticed that lights were being left on in the chilled storage rooms so we put sensors on the doors which turn them off when the doors are closed”. FoodCloud Hubs can expect reduced utility bills in the medium term. Reduced utility use leads to reduced greenhouse gas emissions and so the cycle of reduction continues. The upgrade at our Tallaght Hub is very much appreciated. Just as we help charities cut costs on their food bills, and suppliers on the expense of sending food to waste, the investment by DaysE and Mondelez Ireland represents a significant saving for FoodCloud Hubs, both environmentally and financially, allowing us to concentrate more on delivering a great service to those we work with. Our impact to date is thanks to the support of organisations like DaysE and Mondelez Ireland and they have made it very easy to work with them. We call the DaysE model the DaysE Chain and our role is to link the parts of the chain together: The donor is Mondelez Ireland and obviously there is no project without them. ESB supported the project through the purchase of Mondelez’s Energy Credits. Mondelez Ireland identified their preferred beneficiary as FoodCloud Hubs. We worked with FoodCloud to identify the energy upgrades of most value and we found the Project Manager who sourced the Contractors. Every project has challenges but the end result of this one is cost and carbon savings and a good feel factor for all the links in the chain. We are delighted.